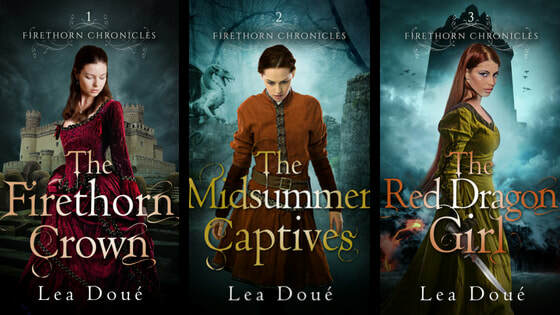 Fantasy, romance, and adventure combine in the fairytale-inspired Firethorn Chronicles, an interconnected series of stand-alone novels drawn from The Twelve Dancing Princesses and other tales. 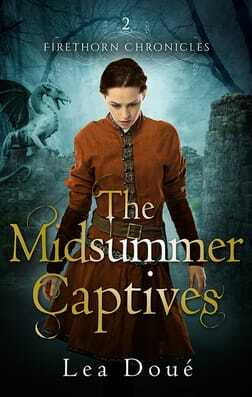 Follow the sisters on their journeys in a land where sorcery is feared and dragons fly. Plagued by her mother's matchmaking attempts, Princess Lily, the eldest of twelve sisters and heir to a mighty kingdom, struggles to prove herself worthy of her inheritance while avoiding the attention of unwanted admirers. Tradition forbids marriage with the man she loves, so she would rather rule alone than marry someone who only wants the crown. Gwen, second of the twelve princesses of Ituria, has given up on happy endings. 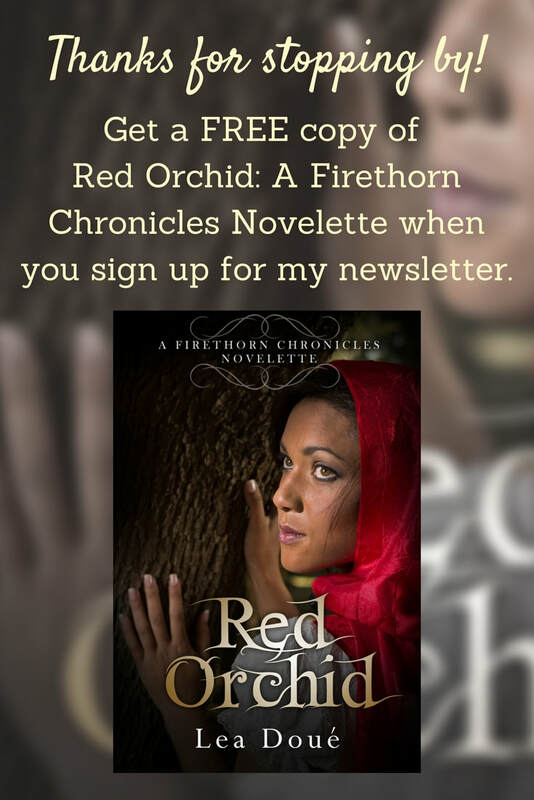 After a neighboring kingdom's heir stole her heart and then disappeared four years ago, she buried her heartache and vowed to serve her sisters. Her most recent mission: to arrange a match with her sister Hazel and the lost heir's youngest brother. When her traveling party is ambushed, her flight from danger leads her into the path of a blindfolded man with a familiar smile. Imprisoned with him deep in the forest, Gwen and her fellow captives are at the mercy of a treacherous beauty on a mission of her own. Contending with her schemes—and a love potion gone awry—they must find a way past enchanted stone guardians, who are capable of crushing not only their bodies but also their dreams. A cursed land. A tenacious sorcerer. A dagger-throwing princess out to prove her worth. Princess Melantha is done with court life. After suffering humiliation at her sister's wedding, she's determined to find her place outside palace walls and far away from fickle princes. Hearing rumors of a curse breakable only by a red-haired girl, she says goodbye to her eleven sisters and sets out on her own. But events don't unfold as planned, and she is caught up in a grueling journey through a distant kingdom with friends both old and new in a race for survival. When the one person she distrusts the most shows up unexpectedly and offers to help, Melantha must decide if she's willing to pay his price. Inspired by Beauty and the Beast. Due out Spring 2019.